Classic rock sounds and indie rock sensibilities - add a splash of adrenaline. A truly vivacious melange of indie music shines through The Rosy Shades latest release, Morning Spirits. The Rosy Shades are an indie rock band from Tallahassee, Florida, consisting of Tim Rock, Jon Little, Nathan Louis and Thomas Pritchard. In 2009, Jon and Tim - natives of Jacksonville, Florida - began writing songs together. They drew influence from 60's classic rock, rhythm and blues, indie rock and other genres that drive the band ’s stylistic driving rhythms, beats, blazing guitars and soaring vocals. Tim moved to Tallahassee shortly after beginning his collaboration with Jon. Soon he discovered that a local venue, The Warehouse, had an open mic night which he frequented. That's where Tim and Nathan first met and realized a mutual taste in music. In fact , Nathan wound up blown away by Tim’s open mic sets, and saw that he had a natural gift for music. He told the Florida State University news, “Certain people just have that thing . I heard something. It was unrefined , but it was there.” The two musicians quickly bonded and began writing and jamming together on a regular basis. This spurred Jon's relocation to Tallahassee, and the fledling trio began their first recording sessions. With the help of fellow open mic night performers, The Rosy Shades became a fixture of Tallahassee’s thriving original music scene. Over the ensuing months, the band worked tirelessly to self-record the growing number of songs for Morning Spirits. The band self-released the EP in October of 2012, shortley after which Thomas Pritchard joined the group - contributing to the remastered and re-released edition in 2013. A truly vivacious melange of indie music shines through The Rosy Shades. 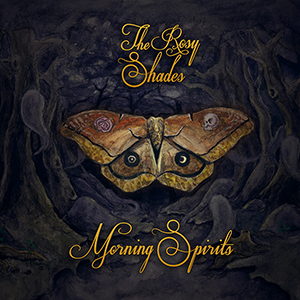 TALLAHASSEE, FLORIDA (01 NOVEMBER 2013) – Morning Spirits is the latest EP from The Rosy Shades. This Florida foursome touts a fervent blend of folk and alternative rock - all overtop a foundation of sixties and classic rock. The result is an energetic melange of energetic muse and melody. Critics have recently suggested the band stands cued for a breakout on US radio. The Rosy Shades consist of Tim Rock, Jon Little, Nathan Louis and Thomas Pritchard. “I’d describe our sound as indie rock on Adderall,” says Nathan Louis. The band’s creative goal is to connect their hooky, melodic compositions with the power and adrenaline of their live shows. Their performances have gleaned a large following in and around Tallahassee at venues such as The Warehouse and Club Downunder. With six all-original tracks, Morning Spirits is a result of the band’s first year of songwriting which began in 2011. “Since the beginning, as a band, we decided to take chances … and just make honest records,” states Louis. The songs on the EP reflect the influential nuances of a wide array of artists – ranging from The Beatles to Oasis. Their artistry remains founded in the timeless, golden era of rock n’ roll exemplified by their addictive musical phrasing and well-crafted lyrics. Key tracks on Morning Spirits include “For Your Love,” which breaks from mid-tempo into a fiery and fanatical display of everything The Rosy Shades encompasses. Catchy riffs, haunting vocal harmonies and pervasive percussion all collide perfectly in “Supersonic.” The Rosy Shades calm it down just a bit in “Leavin,” while even Bono and Liam Gallagher would envy “The Existentialist.” The Rosy Shades harness the very elementals that create timeless music. Morning Spirits flexes a far-reaching radio market appeal, making the future look bright through The Rosy Shades.